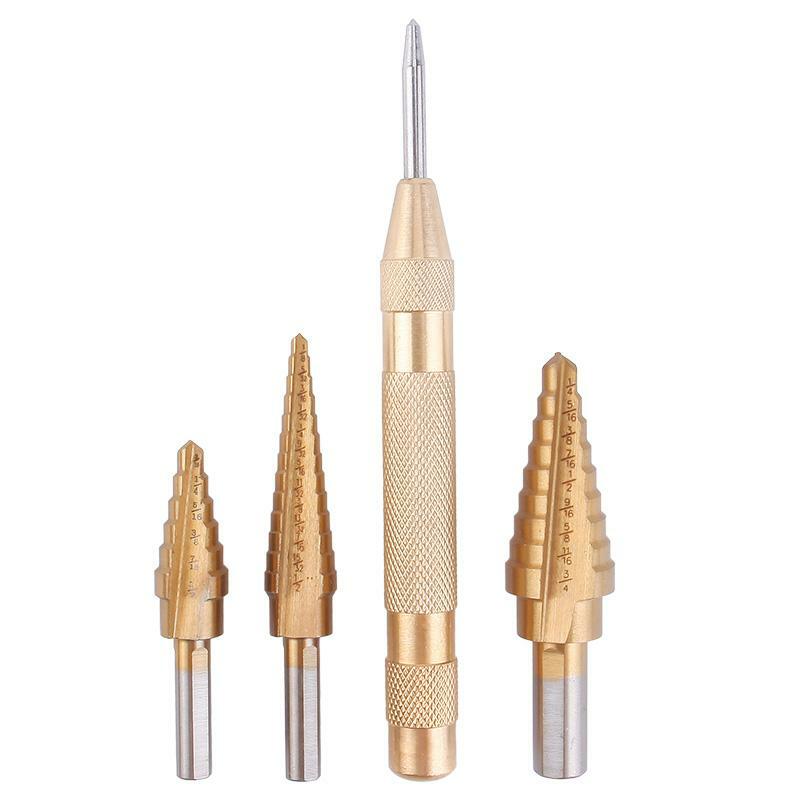 This set includes three standard step drill bits that replace 28 individual drill bits, comes with one 3/16" to 1/2"six-step bit, one 1/4" to 3/4" nine-step bit, and one 1/8" to 1/2" 13-step bit. Made of strong M2 steel with titanium coating, the bits have strong durability. 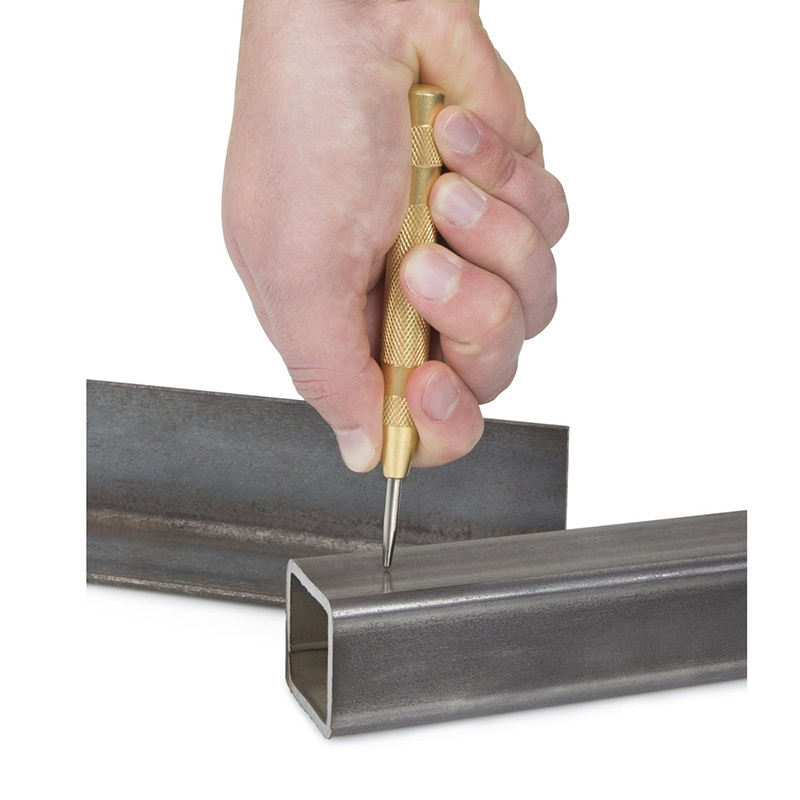 avoiding the inconvenience of a tri-flat shank to ensure a firm grip. 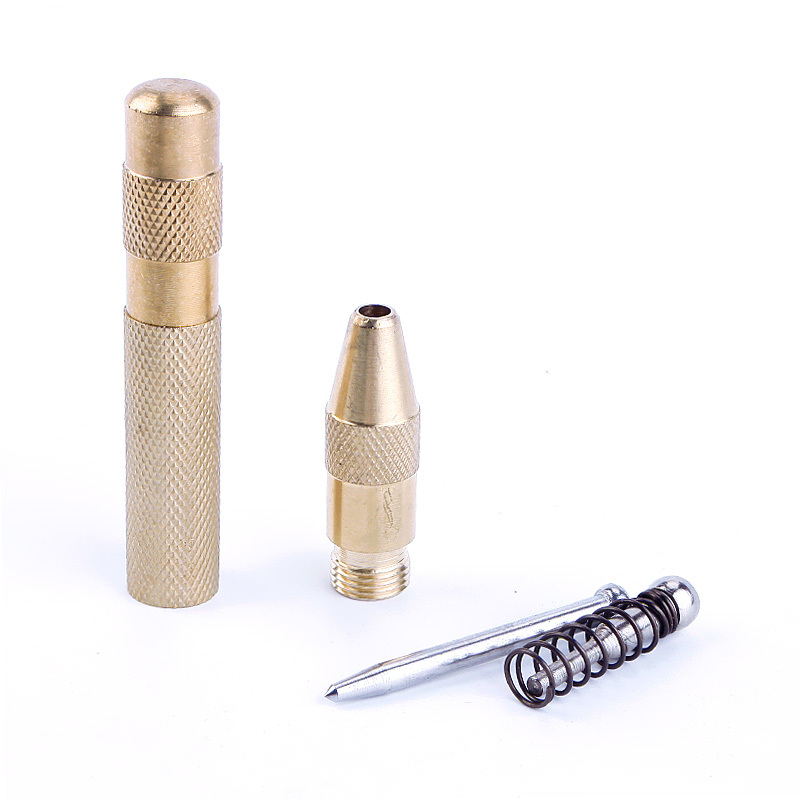 Delivers an automatic, high-impact, spring-loaded strike when pressed against surface, adjustable cap regulates striking force. 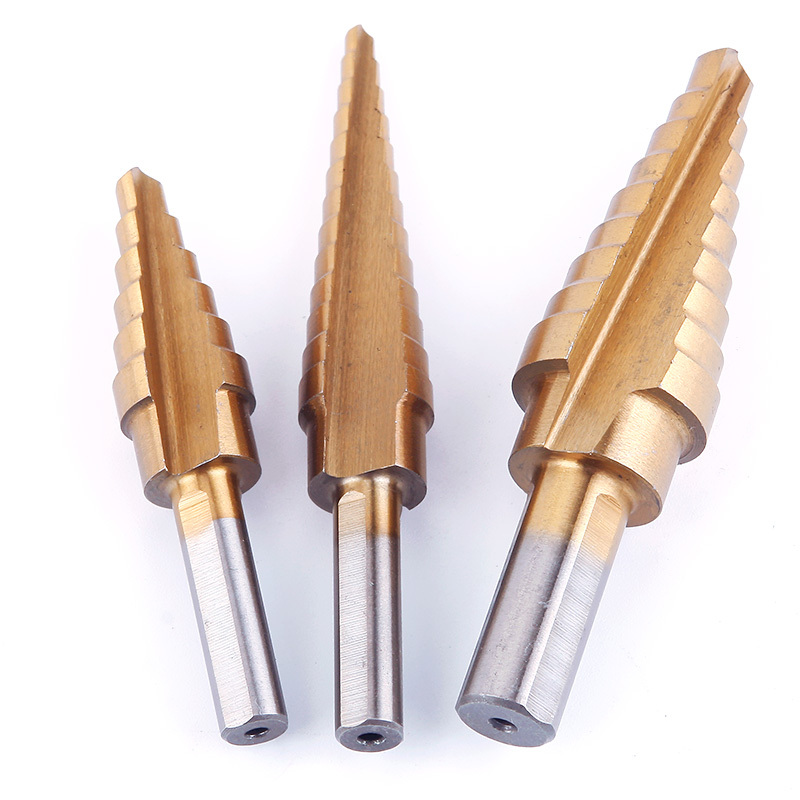 Marks hole locations and starts drill bits and screws, preventing wandering, heat treated alloy steel punch with sharp precision tip, corrosion-resistant brass body with non-slip knurled grip. 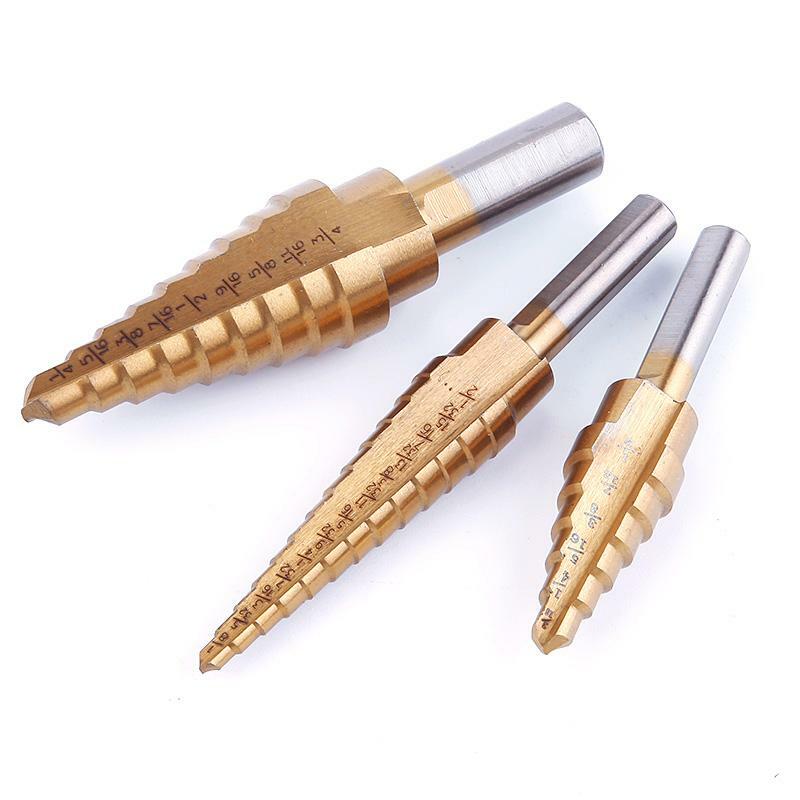 This compact set replaces 28 individual drill bits in 3pc Step Drill Bits which includes one 1/8"- 1/2", one 3/16"- 1/2", and one 1/4"- 3/4". 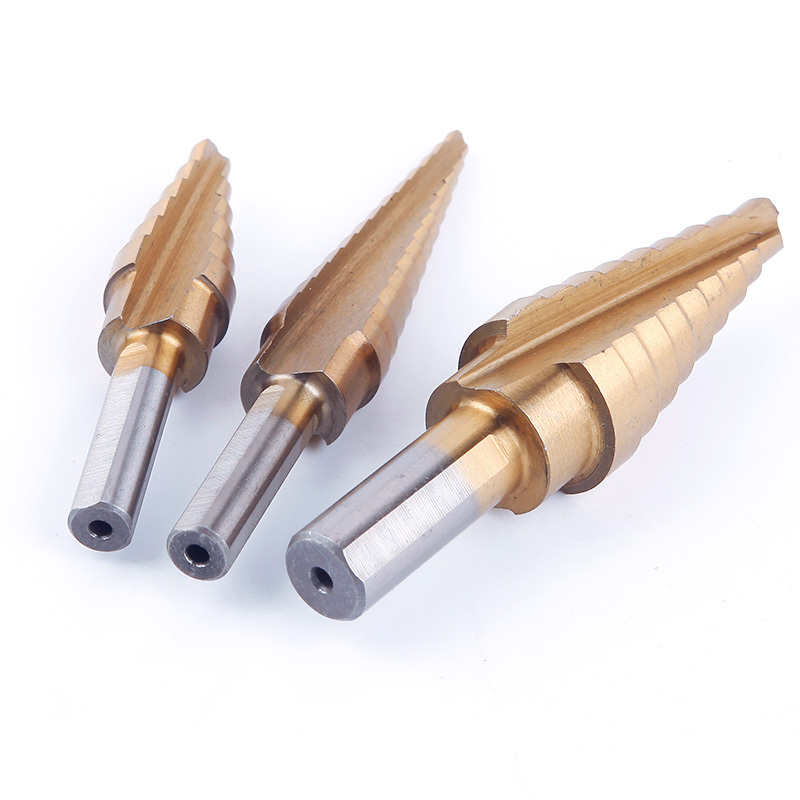 Two-fluted design can provide faster, smoother cutting. 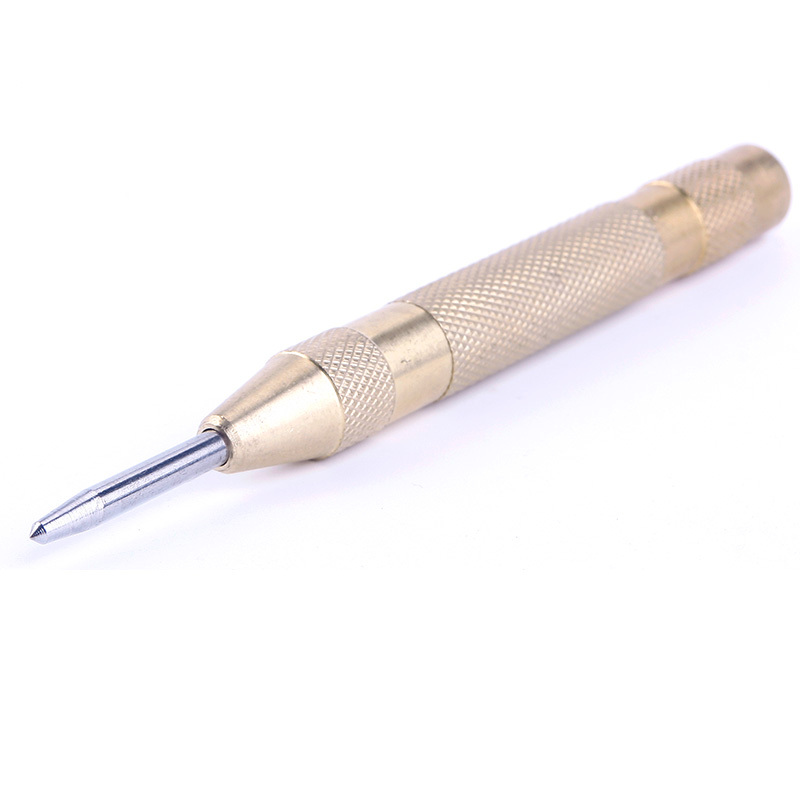 Before starting drilling and screwing, the Automatic Center Punch can be used to mark hole locations. It delivers an automatic, high-impact, spring-loaded strike when pressed against wood, metal, and plastic surfaces. 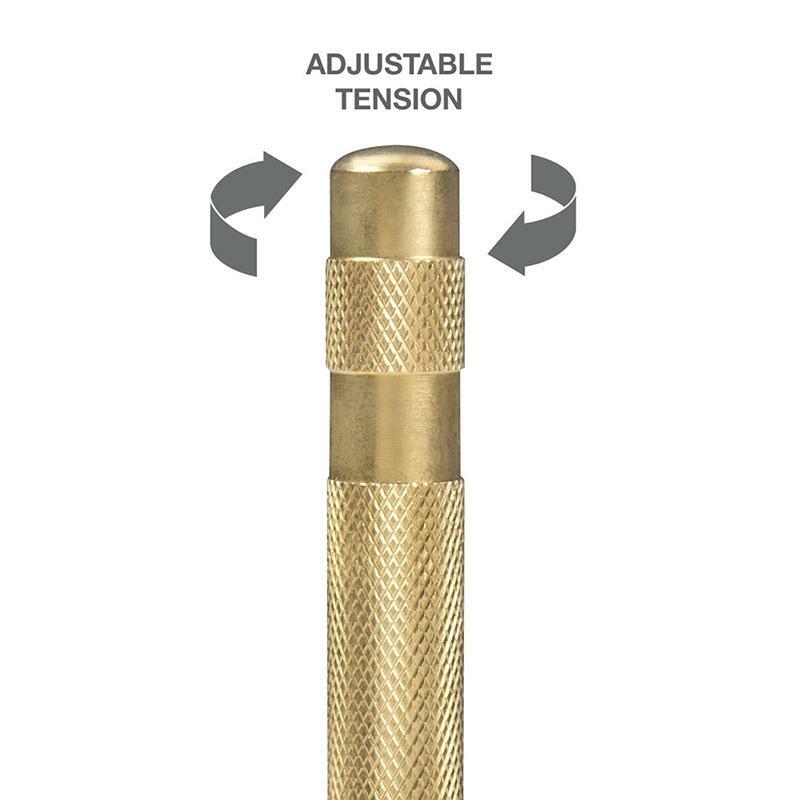 An adjustable cap regulates striking force. 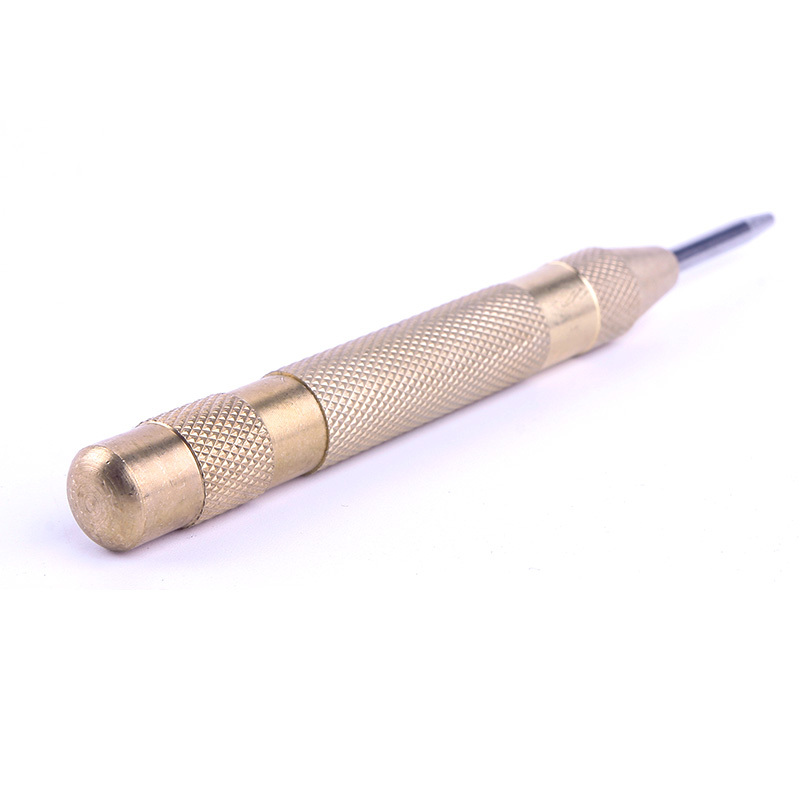 It features a heat-treated alloy steel punch with a sharp precision tip and a corrosion-resistant brass body with non-slip knurled grip.